Welcome to the Lake Norman Project at Davidson College. Lake Norman was created in 1963 by construction of a dam on the Catawba River, which takes its name from the Native American tribe who lived and traded along its banks. White settlers coming into the region established businesses and towns along the river in the 1800s. By the 1900s, they were constructing textile mills and dams along the river. One enterprise in particular, Southern Power founded in 1905 by William Wylie and James B. Duke, looked to the future and began buying land along the river. They also began building dams and creating lakes including Lake James and Hickory. By 1958, plans were announced for a new dam and hydro-electric plant to be located on the site of Cowan’s Ford. 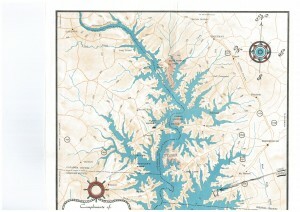 The new lake created by the dam, and named in honor of then Duke Power president Norman Cocke, covers land in four counties: Catawba, Iredell, Lincoln and Mecklenburg. The largest of the lakes on the river with 520 miles of shoreline, the lake changed some local economies quickly with the loss of farm land, highways and the closing of mills and some more slowly as recreation activities and increased power supply opened the way new businesses. 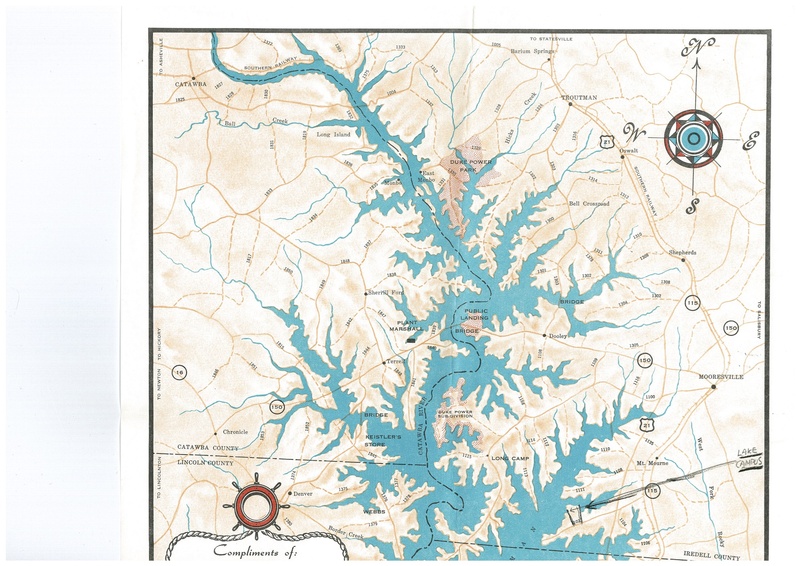 The history of Lake Norman combines the stories of properties now under the water to ongoing ecological, economic and social change in the surrounding area. This project, originally conceived by the Davidson Archives, to learn about and share what is “Under Lake Norman,” has been expanded with the generous support of the Duke Energy Foundation. This support is enabling students at Davidson College to conduct original research around the impact of the lake on the region, and share that research with the public. Please have a look and share your feedback and ideas with us.